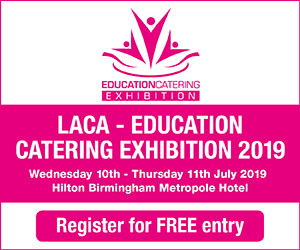 Running alongside LACA - The Main Event 2019, the Education Catering Exhibition is the only show in the UK which is dedicated to the education catering market. With caterers facing a greater challenge than ever before to deliver the right meal at the right price, the exhibition will provide visitors with the ideal environment in which to meet suppliers and manufacturers who can offer products and solutions to help them. The Education Catering Exhibition is an unrivalled opportunity to source new ideas and innovations and compare a range of suppliers under one roof. Over 160 companies will showcase food and beverages, equipment, systems and services.